Concussions mean down time for student athletes. Student athletes who get concussions must sit out of games and avoid critical thinking until they recover. According to athletic trainer Amber Kelso, eight AACC student athletes reported concussions in the 2016-2017 school year and 11 reported concussions in the 2017-2018 school year. 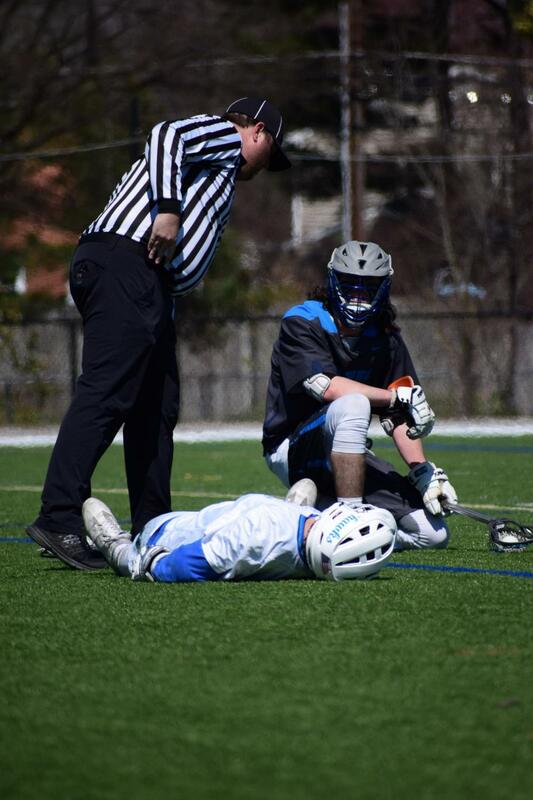 Men’s Lacrosse captain Dylan Morton, who said he got a concussion during a game last season against Onondaga Community College, reported feeling “lightheaded” afterward. Morton said he wasn’t cleared to play until two weeks after his concussion and missed two games and one week of school. First-year engineering student Gerald M. Maravanyika said he suffered a concussion in high school in December 2016. Maravanyika said he had trouble moving his body after his injury. Kelso said head injuries that happen during games are dealt with immediately on the playing field to assess the neck and spine of the player and ensure that it is safe for them to move. According to Kelso, trainers diagnose concussions by giving injured players lists of words and numbers to recite to test their memory. Herr said the Athletics Department communicates with faculty about student absences due to concussions. Women’s Lacrosse midfielder Madeline Szanyi said she suffered a concussion in fall 2016. Men’s Lacrosse midfielder Charles Ellis reported multiple concussions from different sports.